Changes to the tax code were big news, and predictions vary about the effect those changes will have on charitable giving. • Tax benefits are not the primary reason that most people give. People give because they care. Both local and national studies have shown that people give not primarily for the tax benefits, but because they want to make a difference, create charitable legacies and carry on family traditions of giving. • Under the new tax code, many people who give will no longer itemize charitable contributions for tax purposes. The charitable deduction remains in place. But because the standard deduction was nearly doubled — to $12,000 for a single person and $24,000 for a married couple filing jointly — it is likely that 21 million fewer households will itemize charitable giving. Unless you have enough other deductions that a deduction for giving would put you over that standard-deduction threshold, you will be among those non-itemizers. Additional changes — to the estate tax exemption and the percentage of income that can be deducted when making gifts of cash — will affect far fewer taxpayers. • Consider giving strategies that help maximize the amount you have to give. If you can, consider a major gift to a nonprofit. A major gift will help a nonprofit doing critical work and might put you over the threshold for itemizing your deductions, ultimately allowing you to give more. People making substantial gifts might consider doubling a contribution one year to put them over the itemizing threshold — say, giving $5,000 to a nonprofit in one year rather than $2,500 in each of two years. Or if you want to keep your annual giving to a nonprofit consistent, you could do so with a donor-advised fund: A gift made into a donor-advised fund can help you reach the itemizing threshold in a given year. Then you can recommend consistent annual grants from that fund so that nonprofits doing critical work can count on your annual support. People 70 1/2 or older can give up to $100,000 directly from a traditional IRA tax-free to nonprofits each year. The amount given to charity will count toward your required minimum distribution. You can also name a nonprofit as the beneficiary of an IRA, which means that the full value of that asset will go directly to charity. And consider gifts other than cash — like appreciated stock or real estate. Such assets can be given to nonprofits, which can sell them without incurring a tax burden, and turn the full value of those assets into food for the hungry, housing for hardworking families, environmental protection — and more. • If you are considering a significant gift, consult your financial, tax and philanthropic advisors. Changes to the tax code will have different effects on people in different income brackets. Your professional advisors can help you with a strategy that maximizes the amount you have available to give. • Nonprofits need us, maybe more than ever. 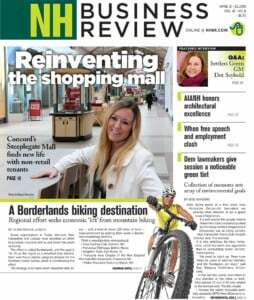 New Hampshire nonprofits provide critical services from which we all benefit. They are on the front lines of the addiction crisis, they are mentoring our kids, protecting our natural resources, reporting on issues critical to our democracy, bringing the arts to every corner of the state. When they do more, and serve more people, it does not mean (as it would for a business) that their revenues increase — it means their costs do. When you give, please consider making your gift for unrestricted operating support — so nonprofits can use your gift where it is needed the most. • Economic growth, particularly stock market growth, makes now a great time to give. Regardless of changes to the tax code, stock market and other economic gains made since the recession ended make now a great time to give. No matter how much you have to give — $100 or $100,000 — every gift will be appreciated, and will help nonprofits do the work that benefits everyone in our communities. 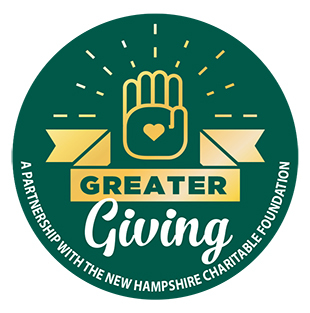 Richard Peck, vice president for development and philanthropy at the NH Charitable Foundation, can be reached at 800-464-6641 ext. 265 or at Richard.Peck@nhcf.org. This article is informational and educational in nature. It is not offering professional tax, legal or accounting advice. For specific advice about the effect of any planning concept on your tax or financial situation or with your estate, please consult a qualified professional advisor.